In the historical palace of El Tri at Estadio Azteca, El Tri will be looking to its long history at the famous stadium for inspiration to a World Cup sendoff that would answer many questions about the team’s play that remained after its goalless draw against Wales in Los Angeles. Granted, like the match against the Dragons, the result in of itself would not be of importance unless obvious weaknesses come out. And against the Dragons, despite appearing to control the game with their possession, El Tri‘s attack lacked incisiveness and deception to make chances in areas that were free of defenders and precision and malice in the final finishing. One problem that this El Tri preselection has is establishing the ways they try to dismark their opponents when they manage to close back up on the attack in both the midfield and on the wings, and the players’ failures to recognize and work harder, faster, and with guile to beat the press back after a Mexico attack breaks into the penalty area. Outside of a few protagonistic efforts by Jesus Manuel Corona and Hector Herrera, who suffered from some of these episodes of innocence and indecision, the squad failed to seriously threaten the Dragon defending with its possession approach. The Tartan Army side whom the El Tri selection will be playing for the first time will also feature mostly inexperienced players on the international stage, who are likely to play with an eye to the UEFA Nations League in September. Of the 20 players Scotland manager Allie McLeish is taking with him, only three have made five or more appearances with the senior selection although there are few players under the age of 23 on the side. Only one player of the 20 plies his trade outside of Great Britain (Wales, England, Scotland, Northern Ireland), which happens to be with MLS franchise Sporting Kansas City. That could make for a Scotland side that might be able to run a lot, but may be more prone to Mexico’s attacks than Wales were. And even then, Mexico will not be facing a goalkeeper with as much high level skill and experience as Wayne Hennessey on Saturday. But Mexico is not without its source of potential trouble. It’s expected starting central defensive pairing of Diego Reyes and Hector Moreno will miss the sendoff at Estadio Azteca as will captain Andrés Guardado. 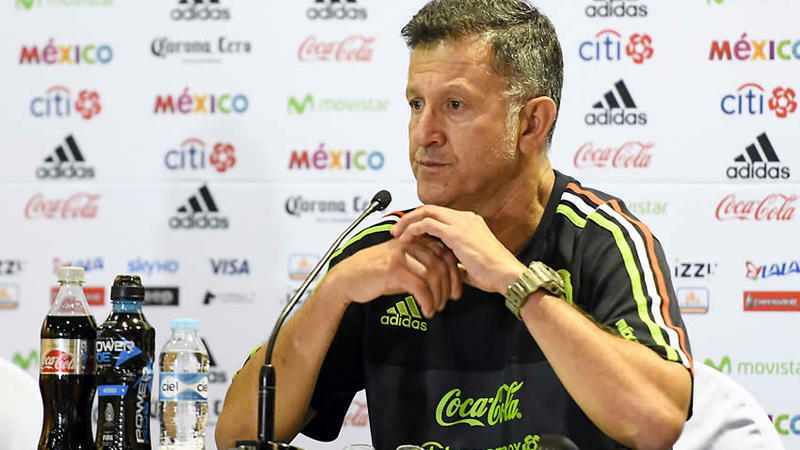 And despite the confidence the players have in manager Juan Carlos Osorio and how they felt he’s improved their game, Osorio and his staff are increasingly isolated from FMF directors who might have a role with regards to player selections for the World Cup and even small decisions that need to be made regarding something with the national team, according to Ruben Rodriguez for Fox Sports Mexico. And so, lingering questions about the team, players, training, tactics, and administrative decisions, even those that don’t arise immediately from Saturday’s friendly against an admittedly inexperienced, weaker foe, could lead to the driving theme of Mexico’s World Cup being less about what happens on the pitch and more about Juan Carlos Osorio’s job security and ability to end his tenure at El Tri on his terms and whom the Liga MX owners decide to replace the Colombian técnico with and why (and what autonomy will he have with player selections and training and scouting strategy). The match kicks off at 8:00 PM Eastern DST (UTC -5) and can be seen in the United States on FS1 in English, and Univision and UDN in Spanish. Mexico 0, Wales 0: Despite a protagonist’s display, El Tri held to a goalless draw at the Rose Bowl.